Finally, Vincent Thomas of VTDance and Professor of Dance at Towson gives us a taste of his upcoming performance piece, a new version of The Grandmother Project. The performance "investigates the essence, role, and commonalities of grandmothers from a personal and global perspective." 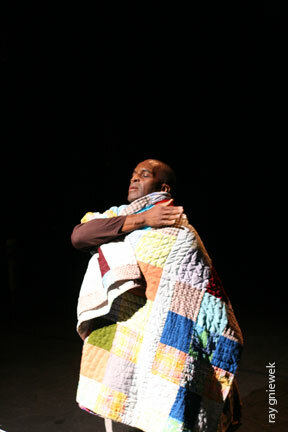 It incorporates memories and reflections of grandmothers from the community through spoken and visual mediums. Vincent talks about his creative process and the transition of these deeply personal stories to the stage. For schedule and ticketing information, see The Theatre Project.